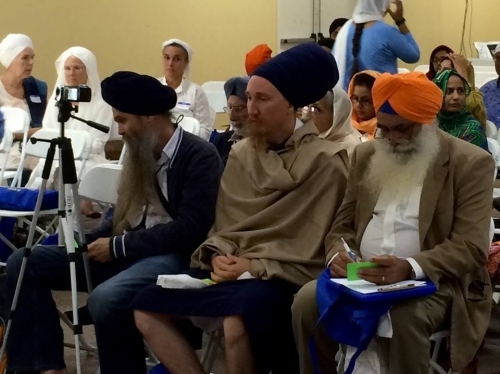 SikhNet censors Sikh's questions at Siri Guru Granth Sahib Ji conference in San Jose Gurdwara! 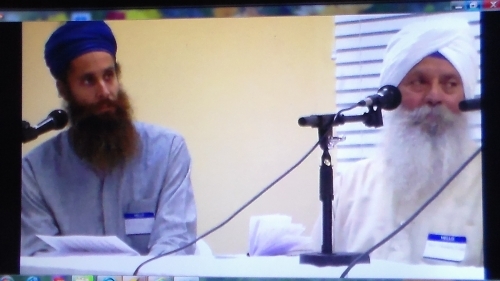 The cowardly Bhajanist administrator of Gurusant Exposed​ who won't even reveal themselves, has now passed judgment against Gursant Singh​ & Pritham Singh, condemning our simple request to ask legitimate questions of another Sikh, face to face in a Q & A during the Siri Guru Granth Sahib Ji conference at the San Jose Gurdwara. •Waheguru Ji Ka Khalsa Waheguru Ji Ki Fateh! 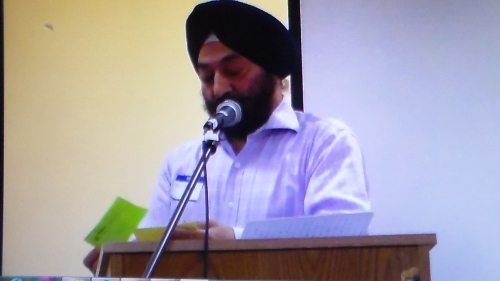 Gursant Singh says, “Well, there’s another major assumption here on your part as well.” On the day of the conference, I had an urgent family matter that I needed to attend to and with a 3 hour drive ahead of me from San Jose to where I live in Yuba City; I needed to leave as quickly as possible. I would have stayed for the entire conference if I had not had that family situation waiting for me to deal with. You will also note in the video I made above that I talked about the wonderful kirtan the Young Sikhs performed and I also listened with great interest to all the speakers after that until it became absolutely necessary for me to leave. As it was I arrived home with only a few minutes remaining to address this urgent family matter. Manchanda didn’t even bother to present my question to the panel which asked how the panel saw Yogi Bhajan’s tantric / kundalini yoga fitting into Sikhi after 500 years. I felt my question was completely relevant to Manchanda’s topic since at the conference registration SikhNet included in a bag labeled “4th Annual Siri Guru Sahib Conference” a 3HO yoga promotional card with Yogi Bhajan’s picture adorning it along with a Yogi Bhajan mantra which had nothing to do with the Siri Guru Granth Sahib Ji or Sikhi. There were also verbal questions taken by the previous speaker, IP Singh before Ek Ong Kaar Kaur Khalsa spoke. 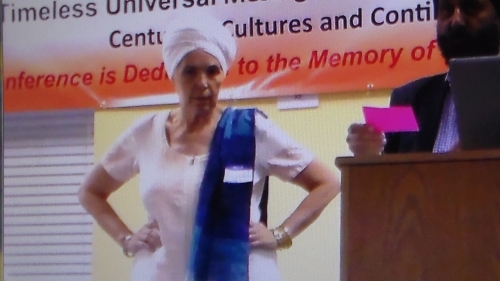 So you see that when I was faced with the deception of "SneakNet", I felt in order to serve the sangat and get the truth out of the speakers, it became necessary to stand-up and ask my questions directly to Ek Ong Kaar Kaur Khalsa. Now I will admit that after thinking about this whole situation later in the day, I should have pointed out to the sangat how Manchanda censored Pritham Singh and my comments when he presented our questions to the panelists and I should have also pointed out this fact that with the previous speaker, IP Singh, a precedent of sangat asking verbal questions had been already established. Unfortunately I just didn’t think fast enough in the moment to bring up these arguments at the time.